In partnership with Surrey Music Hub, Spelthorne and Runnymede Councils are setting up a new free choir for carers. The choir is intended to be fun and light hearted, with no previous musical experience necessary. It offers a great opportunity to meet people in a similar position and have a break from caring. The group meet every Friday from 11am-12noon at Manor Farm Wellbeing Centre, Manor Farm Lane, Egham, TW20 9HR. The first session is on Friday 6 November. The Centre can provide respite care for a limited amount of people while carers participate in the choir. Another said their television had broken and Eastenders was about to start. A police force received calls including ‘Will I get arrested if I move my housemate’s banana?’, ‘Fancy a chat?’ and ‘My shutters aren’t working properly’– all in the same day. 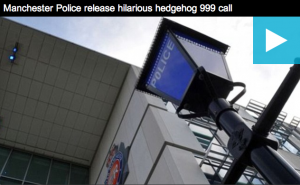 Officers revealed the daft calls from members of the public as part of a campaign to highlight the issue of police time-wasting. 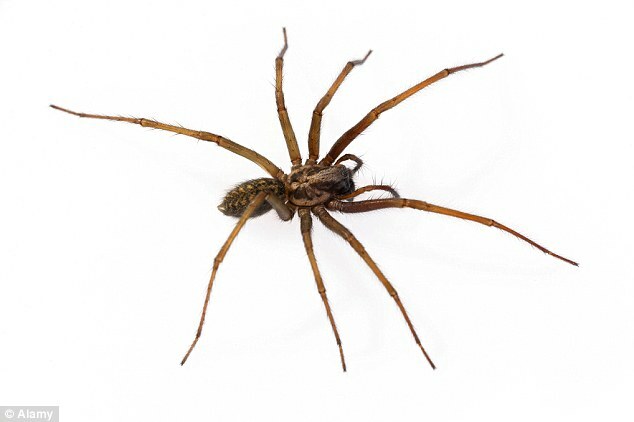 Other 999 calls made to Surrey Police included ‘There’s a spider in my bin’. Another person dialed 999 to report to the police that their television had broken and Eastenders was about to start. The force took to Facebook and Twitter using the hashtag ‘policing matters’ to raise awareness. Surrey Police said it received 675,500 contacts from people every year – nearly 2,000 a day, making it important for people not to waste their time. And last year they attended a staggering 10,270 incidents – on average 28 a day – which were not ‘policing matters’ and should have been directed to other organisations. Facts & Trivia about Surrey…. The estimated population of Surrey according to The Office for National Statistics 2011 Census is 1,132,500. Surrey is divided into 11 boroughs and districts, Elmbridge, Epsom and Ewell, Guildford, Mole Valley, Reigate and Banstead, Runnymede, Spelthorne, Surrey Heath, Tandridge, Waverley and Woking. The Magna Carta (The charter considered to be the beginning of constitutional government in England) was signed by King John of England on 15th June 1215 in a meadow at Runnymede in Egham, Surrey. Opening in 1907, Brooklands near Woking was the world’s first purpose-built motorsport race circuit. Dennis Cars, originally based at the Rodborough Buildings, Guildford was probably the first purpose built car factory in the country. The Dennis name can still be seen on Fire Engines around the UK today. The largest vineyard in the United Kingdom, Denbies is located in Dorking. The Pilgrims’ Way, the historic religious trail, passes through Surrey on the southern slopes of the North Downs. Guildford Castle was the only royal castle ever to be built in Surrey. Epsom Downs Racecourse is the venue for the prestigious British flat horse-racing event, the Derby. The Omen was filmed at Guildford Cathedral. Outwood Windmill is the oldest working windmill in England. It was built in 1665 by Thomas Budgen. Leith Hill is the highest point in the South East of England. The Shah Jahan Mosque in Woking was the first purpose-built mosque in Britain, dating back to 1889. Lewis Carroll is buried in The Mount Cemetery in Guildford town centre. He died on 14 January 1898, aged 66. Eric Clapton was born in the village of Ripley. PG Wodehouse (1881-1975) was born here in 1881 at 1 Vale Place, Epsom Road Guildford and was christened at St Nicolas church (his mother was visiting friends in Guildford when she unexpectedly gave birth). He lived here for 2 weeks. P G Wodehouse is best known and loved as the creator of Bertie Wooster and his faithful manservant Jeeves. HG Wells (1866-1946) wrote War of the Worlds whilst he was living in Woking. HG Well and his wife used to take trips on cycles exploring the country lanes. The Wheels of Chance, The War of the Worlds (1898), The Invisible Man (1897) and the opening chapters of Love and Mr Lewisham (1900), were all written during his 18 months stay at Woking. Aldous Huxley (1894-1963) was born in Godalming, his father taught at nearby Charterhouse School. The family lived in Compton. Huxley loved to cycle in the Surrey Hills, especially around Hindhead and the Devil’s Punchbowl. His best known novel is Brave New World (1932).Huxley spent his latter years in California, where he died in 1963. In 1971, the ashes of Aldous Huxley were returned to England and interred in the family grave at the Watts Cemetery, Compton, near Guildford. Beatrix Potter had a holiday home in the Surrey Hills hamlet of Woodcote. EH Shepherd “the Man who drew Pooh” lived in Guildford when drawing this famous bear. He left the original pictures to the University of Surrey. Barnes-Wallis designed his “bouncing bomb”, made famous during the Dambuster Raids of World War II, whilst living in Effingham. Guildford’s most famous son was a former Archbishop of Canterbury, George Abbot, who built Abbots Hospital Alms House as a gift to the people of Guildford. Alan Turing, who broke the Enigma Code during World War 2, lived at 22 Ennismore Avenue, Guildford. There is a statue of him in the main square at the University of Surrey. There is a blue plaque on his parents’ house at 22, Ennismore Avenue, Guildford. Boris Karloff was cremated at Guildford Crematorium. Sir Arthur Conan Doyle, author of Sherlock Holmes novels, lived at a house called Undershaw on the A3 in Hindhead and wrote his novel ‘The Hound of the Baskervilles while living there from 1897 to 1907. The house was a hotel and restaurant until 2004, but is now in a state of disrepair. Admiral Sir James Stirling – the founding father of Western Australia married a girl from Guildford and was buried here. A mathematician called William Oughtred 1575 – 1660 lived at Shalford then took a living at the rectory in Albury. He was initially an astronomer who worked with John Napier who invented logarithms. William Oughtred invented the slide rule in 1622. In 1660 he was buried in Albury old church which is part of the Albury estate and there is a memorial plaque in the church. Playwright George Bernard Shaw lived at a house called ‘Blen Cathra’ in Hindhead, Surrey, now St. Edmund’s. Cricketing twins, Sir Alec and Eric Bedser, who played for Surrey and England, live in Horsell, and it is rumoured that they first played cricket against the wall of the Bleak House pub. John Paul Getty, American oil tycoon and recluse, was the recent occupier of Sutton Place, the 16th Century manor house just north of Guildford. Jack Phillips – Jack Phillips was the telegraph operator who stayed at his post sending distress signals on board the Titantic. Looking for a DJ ? Disco ? or Equipment Hire ? 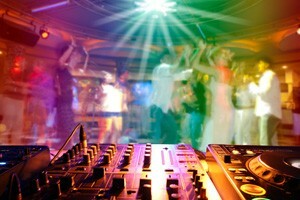 Are you looking for a DJ ? Disco ? or Looking to Hire the Equipment ? For Christmas & New Year ? In Staines, Ashford, Twickenham, Teddington, Esher, Egham or surrounding areas ? I’d like to make you an offer by asking this simple question…… How Emotional Intelligent are you? Did you know that, unlike your IQ which is static you can greatly develop and enhance your EI (Emotional Intelligence) throughout your life, creating a different way to be smart…. so let me introduce you to this awesomeness…..